A game asset designed in tribute to the Commodore PET and the nomenclature of Elite:Dangerous, the CMDR is a DCPU powered personal computer designed for use in space. Created in conjunction with Paul Fleming of the @techcompliant video game. 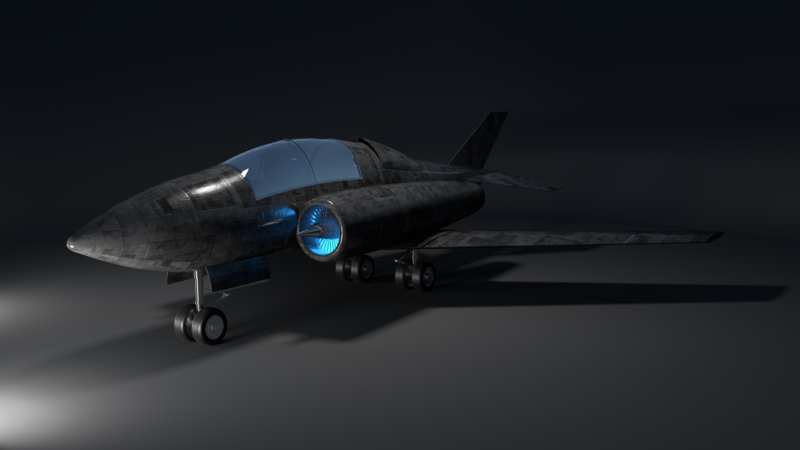 An early, untextured design for a personal sports spacecraft, influenced by the artwork of the SSV Normandy from the BioWare Mass Effect series and such British single-seater sports cars as the Caterham 7. A prototype watercraft based somewhere between the AG-Racing vehicles from the WipeOut series and modern powerboat races, features a fully functioning cockpit and a water mesh generated by the open-source Blender wave simulation. Based on the Red Arrows Hawk aircraft and making use of concept engines known as Bussard-Ramjets this design was an early venture into more featureful models, including landing gear, intakes and profiled wing surfaces. A basic prototype for a game-ready helmet asset, including PBR textures and a skinned mesh that supports animation. A fully complete game asset designed to be used as a blowtorch, matter manipulator and repairing tool on a space station, again designed for the Techcompliant game.